Sometimes they set aside too much and sometimes they set aside too little. All but a few homebuilders seem to lack any sense of aim when it comes to determining how much to accrue for each new home they sell. As with passenger cars, it's possible with single-family homes to calculate not only the percentage of sales revenue spent on warranty expenses, but also how much money is set aside per unit sold to cover anticipated future warranty costs. It's a different way of looking at the accrual rate. Rather than expressing it as an expense that's a percentage of revenue, we're expressing the accrual rate as an amount per unit sold. And that should be closer to the way a warranty manager makes his or her own accrual estimate: from the bottom up, based on past experience and multiplied by current units sold. As with passenger cars, the builders of single-family homes typically include three essential metrics in their financial statements. First, they release the total amount of warranty accruals they set aside each quarter and each year. Second, they release the number of homes they sell, and third, they release the amount of revenue those home sales generate. The industry uses the latter two metrics to calculate the average selling price per home. But we're going to compare each to warranty accruals, to derive two warranty-related ratios: the amount of accruals made per home sold (in dollars), and the percentage of revenue that's set aside as warranty accruals (in percent). The reason we're working with warranty accruals as opposed to claims or reserves is simple: the accruals are supposed to be made at the time a product is sold, based upon the best estimates of what the product's warranty cost will turn out to be over the life of its warranty. Claims are paid on products sold at different times, in different years, so there's no correlation to sales data. And reserves are just measurements of the level in the tank, with no clues about the amount flowing in or out, or the rate of cash flow. In contrast, there should be a one-to-one correspondence with accruals. If you sell a home and your recent experience and best estimates tell you that it's likely to incur $2,500 in warranty costs, you set aside $2,500 in warranty accruals as soon as the closing is completed. If that home sold for $250,000, then your accrual rate is 1.0% at that particular moment. In Figure 1, we've compiled the warranty and sales figures of all the new home builders whose stock is publicly traded and which therefore file financial reports with the U.S. Securities and Exchange Commission. Most of the reports begin in 2003, when manufacturers were first required to disclose their warranty expense reports. And most end with the first quarter reports for 2014. So there are 45 different data points in each line. The top line, in blue, details the average accrual made per home sold, in U.S. dollars, and it follows the left-hand vertical axis. The bottom line, in green, details the accrual rate as a percentage of revenue, and it follows the right-hand axis. Back in the first quarter of 2003, homebuilders were averaging accruals of roughly $2,100 per home, which was about 1.2% of their revenue. By the first quarter of 2014, their average accrual was up to $2,600 but that represented only 1.0% of their revenue. In other words, average home prices rose. What's not on the chart is the number of homes sold. Because many homebuilders are small companies that are privately-owned, the ones that report their warranty expenses to the SEC represent only about one-fifth of the overall industry. After comparing our data to housing start data released by the National Association of Home Builders, we have concluded that we're tracking only about 20% of all the single-family homes built from 2009 to 2013. The other 80% are built by either private companies that don't have to report or public companies that decline to follow the accounting rules for warranty expense reporting. We should also note exactly what metric we're using. It turns out that housing starts aren't the same as housing completions. And just because a home is completed doesn't mean it's sold. Therefore, in order to make the closest possible correlation between the sales and warranty data, we're looking for the number of homes actually sold. Each homebuilder uses slightly different language for this metric, however. D.R. Horton Inc., Shea Homes LP, and Meritage Homes Corp. call them "homes closed." William Lyon Homes refers to the "number of homes closed." PulteGroup Inc., Beazer Homes, and the Ryland Group Inc. simply call them "closings." Meanwhile, KB Home, Hovnanian Enterprises, and M/I Homes Inc. call them "homes delivered." Lennar Corp. calls them "deliveries." MDC Holdings Inc. now calls them "new home deliveries," though it used to refer to "homes closed" until it switched to the new term in 2011. And NVR Inc. simply calls them "settlements." For each of these homebuilders, we tracked the number of homes sold and the total amount of accruals made. From there, we derived the average accrual made per home sold, which we've graphed in the following four charts. 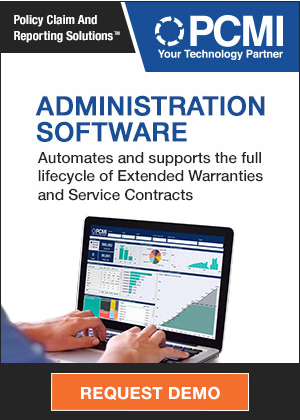 In each figure, the accuracy and stability of each company's warranty finances is obvious. For instance, in Figure 2, D.R. Horton has a very flat line while Lennar's has been relatively flat for the past seven years or so. Meritage and Ryland still see their averages bounce around a bit, though both seem to have at least defined a range for themselves in recent years. Six or seven years ago, their accrual per home sold measurements looked to be a bit out of control. It doesn't really matter much what the average level is. For D.R. Horton, the average is around $1,150 per home. For Lennar, the average is closer to $3,000 per home. But that doesn't make one company's warranties better than another's. It has more to do with differences in the price, location, climate, building materials, and other factors. What we're really looking for is stability. And D.R. Horton is the image of stability, as can be seen in Figure 2. It estimates how much its warranty is going to cost per home sold, and it accrues exactly that amount. Note that the company makes roughly the same accrual per home sold whether sales volumes were high or low. D.R. Horton's sales peaked in 2006, and hit their lowest point in 2011. But accruals per home sold were much the same in both years, as well as in between. That's not true for every one of the 14 homebuilders we're looking at in detail in this week's newsletter. In Figure 3, for instance, we can see the accruals made per home sold for PulteGroup, Toll Brothers, KB Home and MDC Holdings. The chart uses the same vertical scale as Figure 2, so we're not exaggerating when we say their accrual averages are a bit chaotic. The only company that has a relatively flat line is Toll Brothers, and that's true only since 2009. Ironically, that's when the company discontinued reporting its quarterly sales, forcing us to average their accruals over entire years in 2009-2013. That's why each group of four data points are the same, and why there's no data for either the first or second quarters of 2014. Meanwhile, we already have data for KB Home in the first and second quarters of 2014. That's because the company ends its fiscal year on November 30, and it reported its fiscal second quarter data to the SEC two weeks ago. However, also note the incredible range of KB Home's warranty accruals. At the end of 2006, it accrued more than $4,900 per home sold. At the end of 2007, it accrued $0 per home sold. That's right, every home was perfect! At the end of 2010 it accrued only $200 per home. And since then its average has been slowly rising, to its most recent level of $2,500 per home. In Figure 4, we had to widen the scale considerably to make room for the averages of these three companies: Beazer Homes, Hovnanian Enterprises, and NVR Inc. Beazer, for instance, raised its accrual rate per home sold to nearly $15,000 in early 2005. Hovnanian topped out at $15,500 per home sold in the middle of 2009. Meanwhile, NVR went up to $9,900 per home sold at the very end of 2013. That may not be as high as the other two, but NVR also somehow managed to take the top spot in terms of total accruals in 2013. NVR accrued a total of $82.9 million in calendar 2013, pushing far ahead of competitors such as Lennar and PulteGroup. Of the 14 companies we're tracking, Lennar sold the most houses in 2013. PulteGroup sold the most in 2012. NVR came in third both years. But NVR accrued more than either company did in 2013. And as is obvious in a comparison of the data in Figures 2, 3, and 4, in recent years it also accrued far more per home sold than did either PulteGroup or Lennar. Or to look at it another way, PulteGroup sold 8% more homes in 2013 than it did in 2012, and its accruals also grew by 8%. Lennar sold 33% more homes, and its accruals grew by 41%. NVR sold 20% more homes, but its warranty accruals more than doubled. At the other extreme, Beazer Homes made no accruals in three quarters, and set aside less than $1,000 per home sold in seven other quarters. Its long-term average accrual per home sold is $2,150, but it's been below that mark for almost five years now, and was above it for most of 2003-2005. Note that the industry average accrual per home for all 14 builders has been $2,575 for the past 11 years, though it's risen as high as $3,550 and has fallen as low as $2,075. But that variability has a lot to do with what the builders were selling at the time: starter homes, luxury units, etc. It also rises and falls based on environmental factors such as mold and Chinese drywall odors. And the overall average really isn't that variable, compared to the data of some of the individual builders. The chaos in Figures 3 and 4, on the other hand, cannot be passed off to changes in the product mix. One individual builder does not suddenly switch from making small bungalows to giant mansions, and then back again. And no matter what the actuaries say, one does not ever make a thousand perfect homes in any given quarter. Instead, what we believe we're seeing in Figure 3 and 4 is the result of companies that are not very good at warranty expense predictions. Sometimes they're high, and sometimes they're low. And in some years, they're both, sometimes in consecutive quarters. We shouldn't forget, however, that their estimates, which drive accruals, also affect net income, and sometimes, we're afraid, net income affects accruals. In other words, it's not that the homes are perfect. It's just that there's no money available for accruals. So we're a little short this quarter. We'll make it up next time. Nobody will notice. After all, who would actually take the time to compare warranty accruals to homes sold? Finally, we'd like to conclude with the accrual per home sold averages for three of the smaller builders on our list. Shea Homes was itself founded in 1968. Shea Homes began reporting its warranty expenses in 2010, even though both it and its parent company (founded in 1881) remain privately held. However, Shea Homes had to begin filing financial reports with the SEC when it made a $750 million bond offering. William Lyon Homes and M/I Homes have both reported their home sales and warranty expenses every quarter since 2003. And from the relatively flat look of the M/I Homes data points since 2005, the company seems to be a contender for the accuracy and stability crown held by D.R. Horton. But let's assume that five or ten years ago, much less was known in the homebuilding industry about how to accrue accurately for warranty expenses. And let's assume that other priorities (namely, remaining in business) took precedence during the recession. So let's call the 2003 to 2009 data the practice round. On that basis, we have five companies that have demonstrated relatively flat ratios between accruals and homes sold for the past three or four years: D.R. Horton, or course, along with Lennar, Toll Brothers, Beazer Homes, and M/I Homes. These are the companies that do the best job of figuring out what their warranties will cost, and setting aside the correct amount at the time the home is sold. In last week's newsletter, we showed how the top worldwide passenger car manufacturers have mastered the art of warranty expense accounting. Though they're not perfect, most of them have kept their accrual rates per vehicle stable or slowly declining. Much of the variability had more to do with currency exchange rates than with real changes in warranty expenses. There really aren't more opportunities to perform this kind of per-unit analysis in additional industries. In some industries such as computers, the units range too widely in size, capabilities and price. In others such as telecom or medical equipment, there's not enough unit sales data in the public domain. And with industries such as airplanes and air conditioners, there are large companies that straddle both but don't segment their warranty expenses between them. But our general conclusion, after looking at both the passenger car makers last week and the single-family homebuilders this week, is that the automakers are much more accurate and predictable when it comes to warranty expense accounting. Service Line Warranties of America endorsed by the Santa Fe City Council. Holiday Motors of North Florida issues extended warranty refund in coins. Nissan says $5,500 Leaf battery replacements are below its costs. Renault Australia lengthens RS and GT models' warranties to 5 years. WG Security Products offers 3-year warranty on Wi-Fi-enabled systems. Lithia Motors sees 15% growth in extended warranty sales in 2nd quarter. US Fidelis to be featured on episode of CNBC's American Greed program. Brigadoon Fitness lengthens warranties on cardio equipment. Tata Motors to cover new Zest sedan with 6-year warranty. Latest Chrysler recall driven by customer complaints and warranty claims. Interstate National updates its corporate website. Philippines President signs anti-lemon bill into law. Edmonton road repairs often driven by warranties. Thompson Roofing's lifetime warranties last only as long as the company did. Kia recalls 52,000 Soul hatchbacks after analyzing warranty claims. Young man buys new home so its warranties can cover repair costs. Stonewood Homes extends all warranties on new homes to 2 years. Scottish Power faces investigation over £79 million warranty scandal. China CNR Corp. to repair New Zealand rail cars under warranty. Marin Bikes adds online warranty claim tool. Solyndra photovoltaic modules sell in Europe despite lack of a warranty. UK General signs three-year warranty deal with Autoguard. IBM to sell iPhones and iPads and Apple to create a new AppleCare program for business. Pennsylvania to sell historic 110-year-old bridge without a warranty. Colonial Home Warranty accused of selling policies in California without a license. Apple hits back at China over iPhone privacy claims. Jaguar and Land Rover reliability rating leaves UK at bottom of the table. Citroen announces 6-year unlimited distance warranty for cars in Australia. Shoptimist's advice: Let warranties work for you. Class-action lawsuit claims Navistar concealed MaxxForce defects. China Central Television says Apple's iPhone is a security threat. Association warns that E15 ethanol fuel can harm boat engines. Samsung ranks highest in J.D. Power TV customer satisfaction report. Samsung and Home Depot eventually replace rusty refrigerator. Harley-Davidson discovers brake defect through warranty claims pattern. Ford spots safety defects through warranty claims analysis. Toyota South Africa's extended warranties to cover wear-and-tear. Sensible Home Warranty shuts down during Nevada Division of Insurance probe. TBC Wholesale Group improves warranties on its Sailun brand of truck tires. What you need to know about car warranties. Taking warranty management from chaos to best practices. Holden adds 5-year warranty, 3 years free servicing to sales campaign. Capital One Aspire Elite MasterCard offers extended warranty benefit. Nissan announces details for LEAF battery replacement plan in U.S.
TV station helps consumer get new window air conditioner from Conn's. Some buyers see great value in home warranties. Automaker group asks court to dismiss Florida lawsuit over warranty reimbursements. GM is fixing some smoky four-cylinder engines under warranty. Know what you're paying for with a home warranty. Apple to give customers 60 days to buy AppleCare+ service contracts. Dell to let partners sell corporate PC warranty extensions in India. NESDA opposes new Whirlpool fee policy on customer-pay referrals. Kenneth Feinberg to oversee GM ignition switch/airbag compensation fund. How the GM victim compensation plan works. Fiat Chrysler expands recall tied to ignition switch issues. Volkswagen names Stefan Schuller U.S. quality chief for VW and Audi. Tavant Technologies launches Warranty On-Demand. Minnesota raises biodiesel mandate to 10% (5% in winter). Mazda warns southern African customers against 15% ethanol fuel usage. St. Louis-area vehicle service contract companies resume "expiring warranty" mailings. Effect of Malta's Consumer Affairs Act on extended warranties explained. Australian expert finds fault with some solar panel warranty schemes. Tim Shelley of Tim's Plumbing arrested for warranty fraud scheme on water heaters. Can AmTrust Financial Services sustain its incredible growth? ServiceMaster IPO offers 35.9 million shares at $17 each.